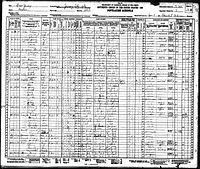 The Fifteenth United States Census was done by the Census Bureau in April 1930. It found the population of the United States to be 122,775,046. It was an increase of 13.7 from the 1920 Census.